The names of both Parallel Worlds and Dave Bessell should be very familiar by now to followers of the DiN ambient electronica label. Bakis Sirros (aka Parallel Worlds) has two solo albums, Obsessive Surrealism (DiN26), Shade (DiN32) as well as collaborations with DiN label boss Ian Boddy on Exit Strategy (DiN37) and most recently World Adapter (DiN48) with Self Oscillate (Ingo Zobel). Bessell on the other hand has a single solo album Black Horses Of The Sun (DiN47) as well as his contributions to the two synth supergroup Node releases (Node 2 (DiN44) & Node Live (DiN55)). Of course the duo have already collaborated before on their 2012 album, “Morphogenic” (DiN41) and “Dystopia” sees these two musicians continue their sonic dialogue. Track titles such as “Cipher”, “Mutagen” and “Devoid” as well as the album title leaves one in no doubt that you are entering a dark and foreboding sound world. Indeed Bessell quotes the infamous novel “Neuromancer” by William Gibson as a major influence. Bakis Sirros as ever weaves his intricate modular rhythms that seem to squirm and writhe underneath vast slabs of analogue chords that rise and fall like cities. Indeed the album is very dynamic with complex, almost classical arrangements that constantly shift under ones feet. Amongst this Bessell introduces some fleeting guitar work as well as his adventurous analogue physical modelling sound design. Seeming to inhabit a netherworld between dark electronica and progressive synth these two musicians have once again created an album that just doesn’t sound like anyone else out there. Join them for a unique sonic adventure. Bakis Sirros: ARP-2600, Doepfer A-100, Concussor, Eurorack modular (with Make Noise, Intellijel, Mutable Instruments, Waldorf, Cyndustries, Tiptop audio modules), Serge, Buchla, Blacet/Metalbox/CGS modulars, Oberheim Xpander, OB-Mx, Waldorf Microwave 1, Microwave XT, Roland System-100, Nord Modular, Yamaha FS1R, Emu EMAX II, and other sound modifiers, tape echo & software. Ein Video, das Sie nicht versäumen sollten ist die Live-Demonstration von Colin Benders auf einem vergleichsweise kleinen A-100-System (A-100LCB+A-100LC9). Colin zeigt in beeindruckender Weise, was man auch mit einem so kleinen System live alles anstellen kann. Er beginnt mit dem nicht vorverkabelten System und erklärt was er patcht um damit seine Live-Performance zu gestalten. Sehr sehenswert ! Ingo Zobel (Self Oscillate) and Bakis Sirros (Parallel Worlds) first started collaborating via the internet in 2004. 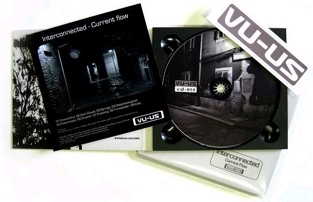 Their first album, “Current Flow”, under the project name “Interconnected”, was released in 2010 on the Belgian VU-US label. Following this a vinyl EP of ambient tracks called “Mechanic Environments” was released in 2013 on the Dohkonul record label. For “World Adapter”, their second full collaborative album, Ingo and Bakis are using their more widely known aliases of Self Oscillate and Parallel Worlds respectively. Four years in the making this album is redolent with the sounds and textures of modular analogue synthesisers which both musicians are well known for employing in their music. Ingo uses a large Doepfer / Eurorack system whereas Bakis creates his complex sonic textures with Doepfer, Serge and Buchla systems as employed on his previous DiN releases (Obsessive Surrealism (DiN26), Shade (DiN32), Exit Strategy with Ian Boddy (DiN37) and Morphogenic with Dave Bessell (DiN41)). Doepfer, Euro, Serge, Buchla, MOTM, Moon, Blacet, Metalbox, RS-Integrator, Technosaurus & Synthesizers.com modulars. Oberheim Xpander & OB-Mx.Korg PE1000, MS20, Mono/Poly & Z1. Clavia Nord Modular, Nordrack2 & Nordrack3. Ableton Live & NI Reaktor software. Roland System-100, Waldorf Microwave and various other string machines, analogue keyboards, tape echoes, reverbs, CV modifiers and generators. 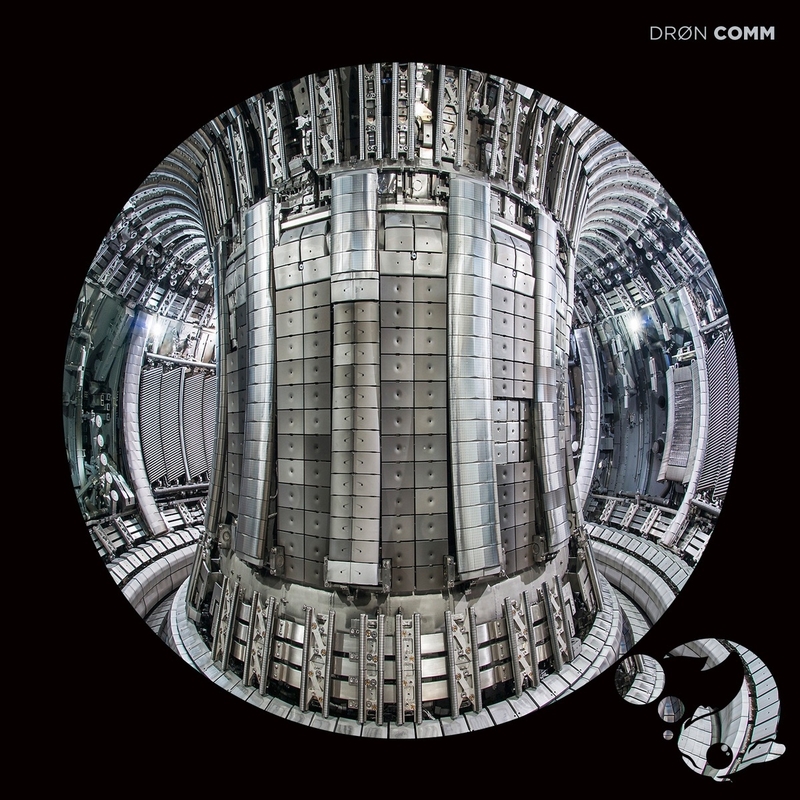 Drøn has released their latest album "Comm" on the US label Carpe Sonum. It features 14 tracks, which were produced using a wide range of old and new synthesizers, including a huge A100 System. The album is available as download or as limited edition CD (only 300 copies). Side A is music by Interconnected (Bakis Sirros & Ingo Zobel) , Side B is music by Zealosphere. You can listen to the whole album in the website of the label. Split colored Vinyl LP, ltd edition 200 copies. Morphogenic sees a new collaborative project on the DiN label, although the name of Parallel Worlds should be familiar to DiN aficionados due to the two solo albums Obsessive Surrealism (DiN26) & Shade (DiN32) as well as the more recent collaboration with DiN label boss Ian Boddy on Exit Strategy (DiN37). Dave Bessell is, of course, a new artist to join the DiN roster, although his name should be familiar to lovers of analogue electronica due to his contribution to the almost legendary band Node. One of the four founder members of this group, Dave is also joined on the track Heterodyne by Ed Buller the world renowned producer and master of the art of sequencing large vintage modular synths. Bessell has a formal education in classical composition and these skills blend perfectly on Morphogenic with the intricate, sequenced rhythms of Bakis Sirros aka Parallel Worlds. Whilst the eight tracks have all the fluidity and organic feel of analogue synth dominated pieces, they have a shape and form to them that make them fascinating compositions. As well as joining Sirros in the analogue arsenal with his mighty Macbeth M5n, Bessell also provides some very effective and unusual guitar backdrops. Bakis made extensive use of Serge, Buchla and Oberheim synths in this recording which contribute to the warm and organic soundscapes. Bessell also writes custom software that is employed to great effect in providing unusual and detailed textures through which the incessant, complex rhythms and beats of Sirros rise and fall. These two artists complement one another very well, giving Morphogenic a feel that is both retro in its analogue heritage, yet forward looking in its unusual detailed textures, combined with a fine compositional sensibility, is another excellent release to add to the DiN canon. All tracks composed, arranged and produced by Bakis Sirros & Dave Bessell between April 2011 and April 2012, except track 6, by Bakis Sirros, Dave Bessell & John Sirros. Gusgus live at Nasa, the release concert for the album Arabian Horse. The 11th and the last track in the set. This is though a track from their album 24/7. Now Daniel is accompanied by the fellow Gusgus singers, with Högni taking over the verse and Earth dropping one of her solo tracks in the tail. President Bongo is extra hot on the Doepfer. A legendary 22 minute performance. 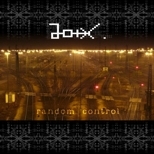 With "Random control" JOIX presents his 10 track debut album. JOIX who is now based at the industrial town Mannheim in Germany, started his career as producer and live act of electronic music already in 1996 with the creation of own electronic sounds. His style is mainly influenced by electronic music from Detroit, Berlin and Frankfurt. Characteristic for his deep and impulsive Techno are phat bass lines, strange soundscapes and drifty beats. The deepness of his tracks unfolds its effect mainly on the dark dance floor, but is complex enough to be thrilling on your home hi-fi as well. JOIX generates most of the sounds on his analog-modular-synthesizer with many DOEPFER modules. This combined with the absence of any bought sample libraries or presets, confronts the listener with an extraordinary, overwhelming and unusual interpretation of electronic music. The audible and perceptible presence of analog sounds is the key to JOIX’s music. This is expressed by voluminous, wide, powerful and embracing sounds which are often differentiated and warm at the same time. Distinctive subliminal random effects are creating unique live-lines due to irregular voltage levels inside the analog technical equipment. Angelspit’s new 11 track album “Hello My Name Is” was produced heavily on their Doepfer Modular synthesizer, particularly Doepfer’s Dark Time Sequencer. “We’ve been using the Dark Energy for the last few releases – it’s so powerful!" says Zoog Von Rock, the evil genius behind Angelspit. Schaltraum ist Silvio Urbiks aka Kabelmanns erstes Album und es verspricht genau das was man sich unter dem Namen vorstellt: analoge, dreckige Sounds aus Modularsynthesizern. Und er weiss wie mit analogen Modularsynthesizer umzugehen. Getreu dem Motto: ein Modularsynthesizer ist erst komplett wenn er allen verfügbaren Platz in einem sich ständig ausdehnenden Universum aufgebraucht hat, macht er sich auf die Suche nach neuen Klangwelten und nimmt die Hörer auf eine Reise in die analoge Welt der elektronischen Musik. Gekonnt spielt er mit Stimmungen und Melodien. Mal stürmt es, mal scheint die Sonne. Er weiss wie man Spannungen aufbaut, so dass man, wie bei einem guten Thriller, nicht aufhören kann zuzuhören, weil man wissen möchte wie’s weitergeht. "Benthos" is the second album by Memory Geist, the collaborative project of Steve Law (of Zen Paradox, Starseed Transmission & Black Cab) and Bakis Sirros (of Parallel Worlds & Interconnected). Their first album "Funereal Cavern" was released in 2007 by the well respected Italian experimental label Musica Maxima Magnetica. The creation of "Benthos" has been a long process initiated in mid-2007 when Law visited Sirros in his home town of Athens, Greece and the duo recorded some initial material together comprising a variety of soundscapes, sequences, analogue rhythms & organic atmospheres. On his return to Melbourne in Australia, Law sculpted this raw material into a set of 6 tracks which were augmented by further soundscapes, rhythms and arrangement ideas sent across to him by Sirros. The gestation of "Benthos" took 4 years in total and has resulted in the birth of a complex and fascinating ambient electronica album. The pieces range from dark, industrial rhythmic tracks to cosmic style slabs of ambience and showcase the duos use of modular analogue synths alongside computer software manipulation. the album is also available as a limited edition (99 copies) digipack CD-R from Alio Die's label Hic Sunt Leones. Angelspit's psychotic synthesist Zoog Von Rock recently commented on Angelspit's live setup: "I think everyone knows how awesome and pounding Doepfer's sound is, but not many people know how tough and reliable it is on the road. We've just got off a 30 show tour of the USA (March 2011) and we took out a small Doepfer rig. Our "live modular" toured the USA in 2009, plus Europe and Australia twice. It's extremely reliable - it never drops CV, GATE or CLOCK signals. I'm always hearing horror stories about taking modular gear on the road, but we NEVER have a problem with our Doepfer rig - which is amazing considering it's been in plane's cargo bays more times than I can remember and on Rock'n'Roll tour buses all over Europe, Australia and the USA. Doepfer modulars are 100% ROCK PROOF!!" Doepfer Dark Energy - The bottom end is so punchy and solid! A-129/1+2 Vocoder - Absolutely KILLER sound live. Slightly distort the input and this thing snarls. 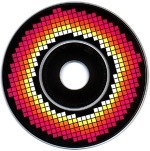 A-102 Diode Filter - Beautiful filter with clean highs and devastating bass. A-106-1 Extreme Filter - An amazing filter - it does EVERYTHING! A-132-4 Quad VCA - I love this module. It's clean and precise, but if you add more CV it distorts beautifully. Plus, you can use it as a CV controller mixer using it's SUM output. Brilliant module! 2x A-110 VCO - Always in tune. Never drifts. Frequency Modulation is stunning and it's bass make stomachs move. A-174 Joy Stick Controller - Fast and fun way to modulate! The A-178 Theremin - I don't play guitar. I play PUNK THEREMIN! Angelspit use custom built controllers by Agent 13. These are based on the instructions on Doepfer's DIY section of their website. 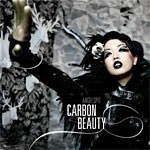 ANGELSPIT's latest album CARBON BEAUTY features dark dirty pounding synths powered by Doepfer. The main synth used is the Dark Energy and the Dark Time. Besides using their Doepfer modular synth to create synthesized sounds, Angelspit also focused on using the modular to drastically treat drum kits, vocals and other acoustic instruments. The frequency mashing was provided by the A-129/1+2 Vocoder, A-188-1 BBD, A-102 Diode Filter, A-106-1 Extreme Filter, A-132-4 Quad VCA with analogue sequencing coming from the Dark Time. Live modulating was done using the The A-178 Theremin and A-174 Joy Stick Controller. Part of the raison d'être of the DiN label has always been about collaborations and "Exit Strategy" continues this tradition with a new joint venture between label boss Ian Boddy and Parallel Worlds. Greek electronic musician Bakis Sirros has had two well received releases previously on DiN under the moniker of Parallel Worlds namely Obsessive Surrealism (DiN26 2007) and Shade (DiN32 2009). Outside of DiN he has also collaborated with Italian ambient master Alio Die, IDM/electronica artist Ingo Zobel and ambient/experimental musician Steve Law. Both Boddy & Sirros have a long, well documented love of analogue modular synthesisers and the organic sounds and rhythms these instruments can produce so in many ways it was inevitable that these two musicians would collaborate at some point. Sirros started the ball rolling with the composition of a series of both ambient soundscapes and more structured multilayered compositions. These featured his unusual pulsing, throbbing analogue percussion layers, warm soundscapes and beguiling melodies that are in many ways a signature sound of Parallel Worlds. Boddy took this raw material and shaped, arranged and sculpted it into a series of seven inter-linked tracks that form a musical narrative that runs throughout "Exit Strategy". Adding his glissando keyboard sound that was premiered on his album Slide (DiN31 2008) Boddy brought a real emotional focus to the album which, whilst it may seem to journey through dark, subterranean territory has some glorious melodic highlights. "Exit Strategy" proves once again that the DiN label can conjure up new combinations of sonic palettes from internationally renowned electronic musicians. LIN/LOG veröffentlicht mit "Klangmörder" nicht nur sein Debüt-Album, sondern auch einen frechen Mix aus Kriminal-Hörspiel und elektronischer Musik. Zum Einsatz kam vor allem das A-100 System als wesentlicher Aspekt der organischen Klangstrukturen. Wichtige Module waren hierbei: A-188-2 und A-198 mit Ribbon-Controller. Mikael Delta: "I used A-100 system and A-155 analog sequencer in my latest cd “Tech me away” and I was impressed with the final sound production. The diversity of Doepfer systems in making sounds offers me the space to experiment and result to the substance of a musical compotition. Even though the analog synthesis is based on technical relations, I feel that it is also a kind-of- meditation experience." Diese CD ist komplett mit dem A-100 produziert. Die Musik zu dem Video ist ausschließlich mit dem A-100 erstellt worden. ANGELSPIT haben ihr neues Album LARVA PUPA TANK COFFIN veröffentlich. Neben dem DARK ENERGY kam auch jede Menge A-100 zum Einsatz, u.a. der Vocoder A-129, das Diodenfilter A-102, der Bit-Modifier A-189-1 und das Eimerkettenmodul A-188-1. Die Mehrzahl der Sequenzen werden mit dem MAQ16/3 erzeugt. Dubbhism proudly presents the album 'Sonic System' by D.E.A.D. This is music for dubbhists, electronica lovers and synth-geeks. Technical note: all sounds you are about to hear were made with a big bad transgenic monster (*) synth that was programmed using ratios, algorithms, recipes and dirty tricks known only to those initiated in the ancient sacred rites of musical geometry. Remark: The "big bad transgenic monster" is an A-100 system. All sounds (100%) were made with the A-100. This is the first cd of the Italian group "Le Borg". The personnel is: Paolo Di Cioccio, Felice(Furia Elettrica)Lechiancole and Ivano Nardi.In the live concerts there is another guest star,Francesco De Chicchis,on second elektro drums. 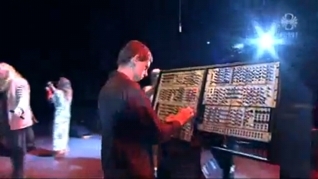 The electronic analog instrumentarium is very large,and Le Borg plays two A-100 Modular Systems, for the bass sequences and electronic dreams. The song "Hello Dieter" is dedicated to Dieter Doepfer! The cd "Ohm City" is published by Rai Trade and Videoradio,you can see their sites if you want it! Auch Gusgus waren wieder fleißig und in Kürze gibt es ein neues Album "featuring lots of doepfer bass adventures recorded straight from the live set" (Originalton Gusgus). This is the first collaboration by ambient master Alio Die with soundscape creator Parallel Worlds. The unique sound achieved could be described as a hybrid sonic world, made out of bouncing electrons and air vibrations. The modular machines of Parallel Worlds are merged with the acoustic instrumentation and drones of Alio Die, joined by the ethereal voice of the Polish vocalist/composer India Czajkowska, resulting in a surreal, yet down to earth, listening experience. The compositions, being, at times, minimal and calm and, at other times, full of mystical darkness and microsound elements, take the listener into a place were mental and physical boundaries have no need to exist. Interconnected is a collaborative electronica/ idm/ experimental project between Bakis Sirros (of Parallel Worlds, Memory Geist) and Ingo Zobel (of DRON, Signalform, Self Oscillate, Datasette). Both guys are heavy into analogue modular systems which makes their sound very unique and organic compared to other artists in the electronica scene who hardly use any hardware anymore. Their debut album “Current Flow” is a sonic trip where frequencies take on real life form. Each song takes you on an aural voyage to explore new worlds beyond your imagination. The opening track “Greenerblue” brings you smoothly into this new world while other tracks like “Deepestsespeed” give you the impression that you are wandering around that cold surface for ages. The design of this release might seem a bit dark rst, compared to the music itself, but it represents a so familiar ally and yet so mysterious during the night, the unknown. of course the album is full of analogue modulars like the Doepfer A100, Serge modular, AS Integrator, Technosaurus Selector, Metalbox / CGS, Blacet research, (with additional Livewire, Cyndustries, Plan B modules) and Oberheim SEM, Jupiter 6, Mono/poly, MS20, SQ10, TR606, Roland System-100m, various string machines and Tape Echoes, Nord modular, Waldorf Microwave, etc, etc. Robert Piotrowicz considers his synthesizer a most noxious device, fit only for immolation. He isn't a just a wayward noisemonger by definition, nor does he conform to the extreme avant-garde dogmas emblazoned from well-on high (Subotnick, Babbitt, Buchla, Carlos) to those little-known (PBK, Six Or More, etc.). Apparently Piotrowicz's mandate on Lasting Clinamen is to test the very limits of his chosen weapon (in this case, a single Doepfer A100 analog modular), ignoring wholecloth factory presets, passé "space" eruptions, nomadic blipperies, or anything approaching an emergent style-hook less-forgiving shoppers might cling to in desperation. Like Thomas Lehn, Piotrowicz autopsies his instrument to see what he can screw with inside, reorienting your middle ear while he's at it. Shade is the studio album follow-up to Obsessive Surrealism (DiN26 - 2007) and is the fifth CD release by Parallel Worlds (the main musical project of Greek electronic musician Bakis Sirros).Parallel Worlds employ a vast arsenal of both vintage and modern analogue modular synthesisers with extensive use of classic sequencing techniques to produce a sonic world that combines modern electronica and ambient music styles with the feel of retro electronic music. His attention to detail is astonishing and his careful sculpting of sounds and textures produce an organic, ever evolving atmosphere full of half glimpsed meanings and subdued emotions. The purely electronic rhythms and beats seem to have a life of their own and showcase a musician who is a virtuoso with these types of instruments that are the antithesis of the quick fix pick-a-preset mind set of much of todays society. Musically he likes to explore various states of mind, no doubt influenced by his medical background and this adds a tension and darkness to his compositions that are punctuated by disarmingly simple and wistful melodies.With Shade Parallel Worlds show a musical maturity and command of sonic atmospherics that takes the music on a journey, moving through dreams and shades, aiming for the light. iNDEX03 is the third DiN compilation album and includes two tracks each from the titles DiN21 - 29. The artists include Robert Rich, Ian Boddy, Tetsu Inoue, Radio Massacre International, Surface 10, Parallel Worlds, Hoffmann-Hoock/Wöstheinrich & ARC. Release date is September 27th 2008. As with the previous two DiN compilation albums, iNDEX01 (DiN10) and iNDEX02 (DiN20), DiN label boss Ian Boddy has mixed and cross-faded the 18 pieces into a continuous ambient mix that not only showcases the albums on the disc but presents an exciting and varied album in it's own right. It also highlights the varied and intruiging music that the DiN label conjures up on it's releases from deep analogue synth grooves through glitchy, digital soundscapes to powerful, epic ambient atmospheres. An intoxicating mix of the old and new beautifully presented in a slimline cardboard wallet with an extra front flap which just adds to the value and collectability of this disc. iNDEX03 wil sell for the budget price of $10 from the DiN web site and as such is a wonderful introduction to the music of the DiN catalogue. In my new cd "Hautbois ma belle" (many thanks to W. Carlos for inspiration!) we played the bass sounds of the Vivaldi and Fasch' oboe concertos with the "monstruous" A 100,like a berliner philarmoniker doublebass and bassons section! In my composition "Konzertstuck op.0" the MAQ 16/3 with the A 100 are the rhythmical life for the cadences of the Oboe and the Theremin. Parallel Worlds is the main project for the Greek musician Bakis Sirros. He has been active in the Greek electronic music scene since 1998 having performed at several concerts including E-PHOS electronic music festival in summer of 2001, Mad club, Club22 (2nd Summer in the city Festival), Music Day Festival 2006, Small Music Theatre and the Underworld Club. He is also involved with other muscians in collaborative work. The new IDM project “Interconnected” with the German IDM musician Ingo Zobel (of DRON, Signalform, Self Oscillate) and the ambient / experimental project “Memory Geist” with the Australian electronica musician Steve Law (of Zen Paradox, Starseed Transmission). “Obsessive Surrealism” (DiN26) is his fourth album having previously released “Existence” in 2003 on Greek label Rubber Recordings and “Insight” in 2004 and “Far Away Light” in 2005 both on the UK label Shima Records. He has also had tracks included on several compilation releases. Bakis is a great advocate of modular analogue instruments and indeed is the moderator for the Doepfer A100 modular users group. The music of Parallel Worlds is a combination of dreamy, atmospheric textures and pure analogue electronic rhythms and sequences, combining the feel of 70’s electronic music with modern electronica and ambient music. Sirros uses huge analogue modular instruments and analogue step sequencers of the past and present combined with digital FM, virtual analogue synths and sampling. However he manages to elude the fate of many of his contemporaries in not falling into the trap of simply recycling the past. He creates a music that lives and breathes, imbued with his own personality and mannerisms. At one and the same time familiar and fresh. Steady, organic rhythmic structures are overlaid with deceptively simple melodies that remind one of some lost John Carpenter soundtrack. David Westling has released a new CD, "Bum Crab Hatband", through the website electro-music.com. "Bum Crab Hatband" mines the territory out near the far end of socially acceptable behavior. Atonal, virtually non-melodic, rhythmically warped, and highly dynamic, it really defies categorization. Realized with a small Doepfer outfit (less than 6U) plus some smatterings of other instrumentation, this music invites the listener to reassess his or her expectations of what constitutes the beautiful via rather surrealistic juxtapositions of sonic strangeness. Through a confrontation with the unfamiliar conjoined with inklings of echoes of the past, delicious dislocations become possible. "Signalform" ist das Nachfolge-Projekt der Gruppe "drøn". Das erste Signalform-Album wurde unter dem Namen "private channel" auf dem englischen Label Shima Records veroeffentlicht. Auf diesem Album wurde unter anderem auch das A100 Modularsystem intensiv eingesetzt. Die Musik ist im Bereich Electronica angesiedelt. A-100 is an exeptional machine. Here at Wildtek Concept, if there is only one dream we still have, it's definitely to built our own A-100 system. Waiting for this moment, I was looking through internet for some samples of the A-100 and discovered much more than samples... I discovered few very great musicians working with this system and, as a DJ, I decided to record a digital mix of all this great tracks to firstly show respect to the artists behind them but also to Doepfer who makes my nights plenty of dreams with their creations. I hope you will enjoy this 40 minutes of sound experimentations and who know ? Maybe you will be touched by this incredible way to make sounds with an irresistible envy to construct your own synthesizer sounding as you decided it to sound... Music by : Efofex, Unyo303, Charles Graef, ... Enjoy ! Diese CD wurde von Andy Horell (Inhaber unserer englischen Vertretung EMIS) unter ausschließlicher Verwendung des A-100 als Klangquelle produziert. Das Album kann direkt bei Emis bestellt werden. Hier finden Sie auch Details über den genauen Inhalt der CD und einige Ausschnitte als MP3-Files. PARALLEL WORLDS (www.parallel-worlds-music.com) have just released their third album FAR AWAY LIGHT on Shima records UK, featuring many sounds from their huge A100 modular system (more than 250 modules). the new album contains many atmospheric, melodic electronica tracks, with most tracks featuring analogue sounds and sequences from a wide variety of contemporary and vintage analogue modulars and monosynths and virtual analogue textures. electronic rhythms combined with etherial atmos for a unique result. Impressionistic electronica at it's best. PARALLEL WORLDS (www.parallel-worlds-music.com) have used their huge (230 modules) doepfer A100 system, as well as other analogue modulars, for creating atmospheric electronica tracks for their new album "Insight" ,on Shima Records. John Maddocks uses a lot of A-100 equipment in his albums: "Both albums were made by myself and feature a lot of my 4-case a100, infact almost everything either came direct from or was patched through the a100. The only hardware used apart from the computer was a100, korg ms10 and a nord micro-modular (a very small amount of nord as I got towards the end)". Dave Fulton is a founding member of DAT, and his first solo outing is a musical revelation. It not only shows his influence on the music the group makes, but it also demonstrates that he has much more creativity than is evidenced in their albums. HARD PARTICLES is a stunning excursion into the realm of Neu-ambient space music fusing dark, undulating tone clusters with dense, warm melodies that swirl in and out of the supersonic mix. The resulting synthetic mélange is spiced up by spatial effects, which serve as a conceptual bridge between pieces, thus tying the albums whole into one surreal, cerebral experience extraordinaire. New 5 track EP Koottava. Every single instrument has been handcrafted using Doepfer modular synthesizer A-100. Arcade game arpeggio meets experimental electro." No picture available You might want to check these out: they have created a lot of doepfer modular sequences only with doepfer modular synthesizer (except the drums).